Some Windows 8 users have reported issues with the install because of a requirement to have digitally signed drivers. 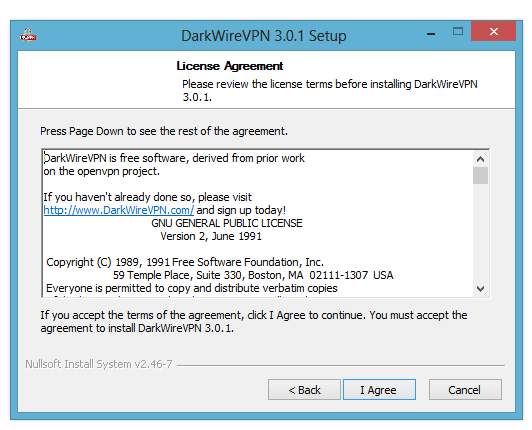 BEFORE proceeding, you should follow the instructions in this link to disable the requirement to use digitally signed drivers — at least for this software install. 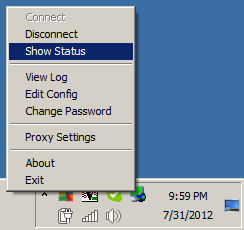 You can turn it back on again after the install is complete if you like. 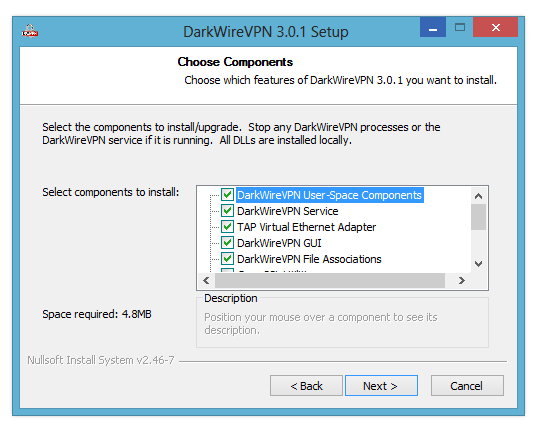 At this point, you can continue the installation process. 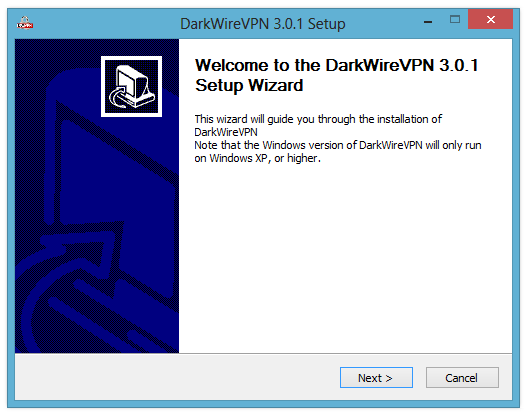 Right click on the DarkwireVPNGUI icon. 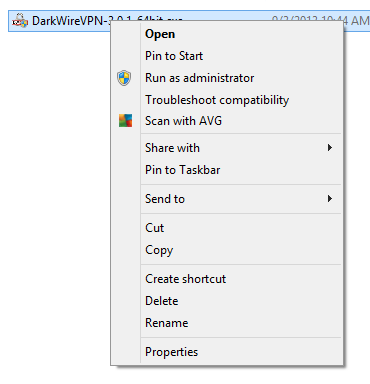 Click “Pin to taskbar” at the bottom of the screen. 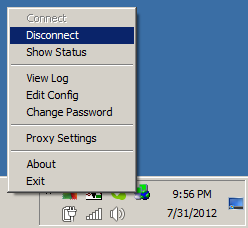 You should now see the DWVPN logo on the taskbar at the bottom of your Desktop. Click this icon to start the program.